After the success of Jiro Dreams of Sushi, film maker David Gelb conjures up Chef’s Table, a Netflix Original series about six renowned international chefs, whose names are making headlines in the culinary scene. The episodes dwell into the passions, emotional connections, triumphs and hardships of each chef. Each introduction is beautifully told before a mesmerizing choreography of the chefs’ artistic creations, all set to the opening theme of Vivaldi’s The Four Seasons Winter – Allegro Non Molto. 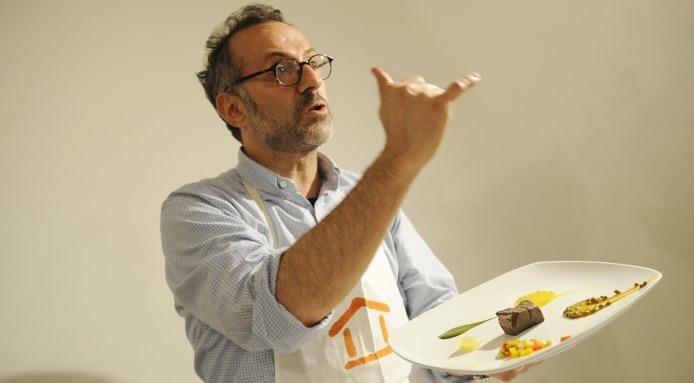 In episode one, we discover how Massimo Bottura, an Italian chef and restaurateur of the three-Michelin-star Osteria Francescana in Modena, Italy, overcame his struggles of re-defining traditional Italian cooking. He developed a love for cooking at a very young age while watching his mother, grandmother and aunt preparing family meals in the kitchen. Over the years, he apprenticed under some of the world’s renown chefs, including Alain Ducasse in 1994 and then at El Bulli under Ferran Adria, the groundbreaking Spanish chef who is considered the father of molecular gastronomy. While living in New York, Bottura met his future wife, Lara Gilmore, who introduced him to contemporary art, which has later become an influential part of his creativity and genius. 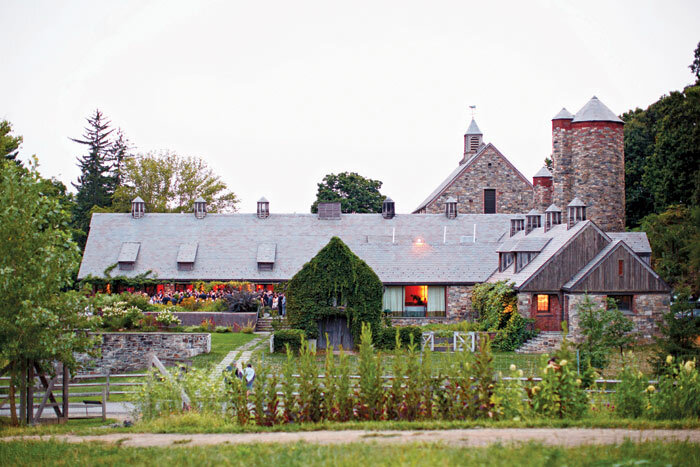 Arguably one of the most influential chefs in the farm-to-table movement, Dan Barber, co-owner of the Blue Hill restaurant in Manhattan and the Blue Hill at Stone Barns in the Hudson Valley, is part farmer and part chef who discusses the importance of local organic farming and sustainable agriculture. In this second episode, he goes in depth about raising many kinds of livestock and how that can yield lush pastures for the animals, and ultimately bring better tasting organic produce and delicious flavors from the organically-fed cows, pigs, goats and chickens to our tables. 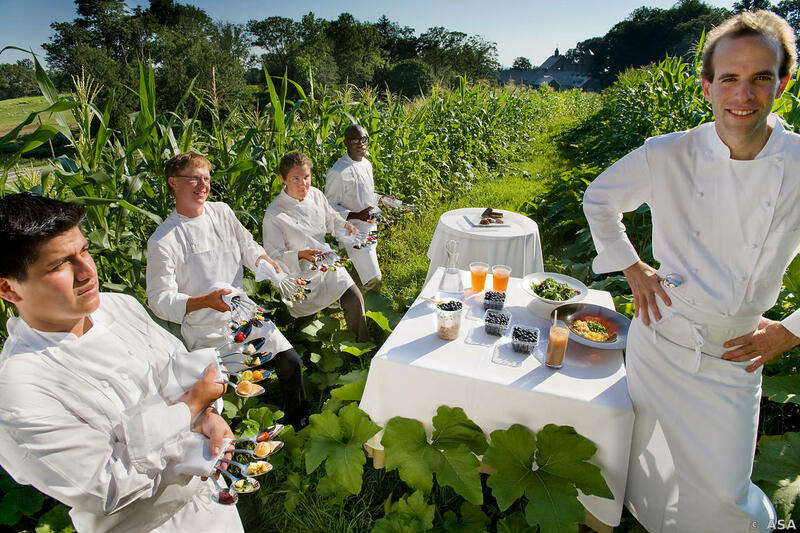 This concept of producing and consuming food locally has been around for quite some time with influential farm-to-table establishments, such as Alice Waters’ Chez Panisse, advocating for the return of simple traditional cooking based on freshness, seasonality, and local availability. Barber poignantly describes how immigrants coming to America saw an abundance of food by way of refrigeration, mass food production, air freight, supermarkets and so forth, and perhaps then wondered why it was necessary to become a culture of great cooking when everything is readily available. Most of the greatest cuisines of the world came out of hardship, where peasants and villagers had to come up with simple preparations of “vernacular food”. So while the upper class were eating filet mignons and other nice cuts of meat, the undesirable parts of meat, including the organs, were utilized by the peasants for cooking various dishes, stews, and soups. This is how our ancestors ate. Nothing was wasted. What we know as French cooking started out this way. Chefs like Fergus Henderson and April Bloomfield have been bringing this nose-to-tail eating concept back to the culinary scene. Some food writers have pointed out that this food-to-table concept represents the polar opposite of the food-as-art, or deconstructed food, philosophy, pioneered by avant-garde chefs like Ferran Adria, Jose´ Andrés, and Heston Blumenthal.